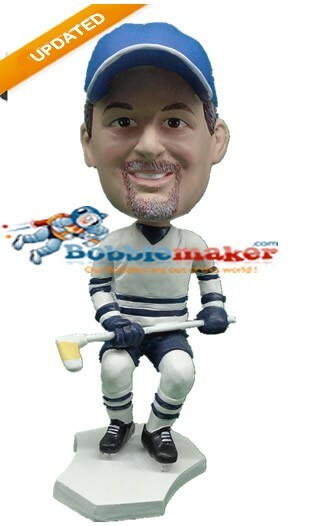 This bobble head features a player with a stick in his hands and skates. This bobblehead came ready to find victory on the ice! A gift for the hockey player in your life.